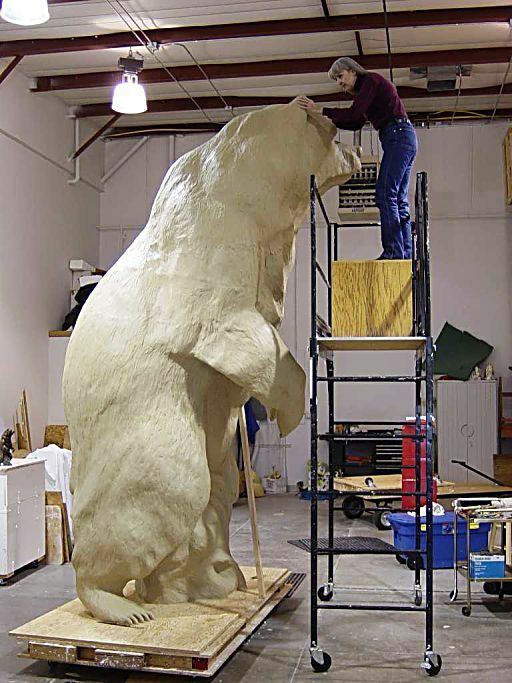 Dawn Weimer woking on a 12-foot grizzly bear called "Northern Vision," finished in bronze and installed at the University of Northern Colorado in Greeley in 2004. Not many in this life can say they have a God-given talent and passion for their craft, but for the late Dawn Weimer, that is exactly where her talent for bronze sculpting came from. Dawn never attended college for anything related to art despite telling her parents at the age of 7 that she would become a professional artist. Tom and Dawn met as high school sophomores, 57 years ago, they have been together ever since. The pair trained American Quarter horses out of Wellington, Colo., in the ‘70s as well as competed in rodeos until 1982. 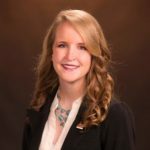 After almost 15 years as a paralegal, Dawn decided to pursue her true professional passion as a painter. At one point, another artist asked Dawn if she ever thought about being a sculptor and she told her no, never. Just two years later in 1991 she began sculpting. Her first bronze sculpture was of an elephant, which came as a surprise to Tom since he expected her to do a horse first. Based on their odd movements, proportions and skin texture, elephants were more of a challenge for Dawn than a horse she told him. In 1995 Colorado State University commissioned Dawn to sculpt a bighorn ram, this was the piece that truly launched her career. It was installed on campus in 1999. Table-size pieces of the sculpture were sold to help pay for the enlargement of the ram. Dawn has many monumental sculptures that can be found across Colorado, as well as in Texas, Oklahoma, Wyoming, Iowa, Minnesota and Washington D.C. She only did five sculptures of people, three of those are now in museums, including the Smithsonian. Usually sculptors sketch their idea before they start forming it in clay, but Dawn only ever did this for her first and last pieces. Her last piece, commissioned in 2003, was the Rocky Mountain rumble for the CSU football stadium. Dawn was originally diagnosed with Alzheimer’s disease but as it rapidly progressed she was re-diagnosed with Lewy body dementia. In her 15-year career she produced 150 different pieces of various sizes. In 2000 alone, she did 20 pieces, including a 9-foot tall bear. Sometimes Tom had to pull Dawn out of the studio late at night just so she would actually eat and go to sleep. After CSU commissioned Dawn for the first ram, she had orders keeping her busy for more than five years. Tom ultimately ran the business aspect of Dawn’s sculpting, operating out of their home rather than a gallery. Dawn passed away this past February, but her legacy lives on in her sculptures and the lives she touched through them. — King is a freelance writer from Oakland, Neb., who is a graduate student at Oklahoma State University in Stillwater. She can be reached at lindsay.v.king@okstate.edu.